Kratom can be used in many different ways, and one of the most common ways of taking this powerful herb is through Kratom tea. Taking it as a tea offers a variety of benefits and downsides in comparison to other methods. Aside from the popular ‘toss and wash’ method of taking Kratom, the tea is relatively quick and easy to prepare for anyone with pretty good results. Kratom tea is a favorite drink, particularly in Southeast Asia, where it replaced the regular consumption of coffee and tea due to its stimulating, invigorating and energizing capabilities. This traditional tea is prepared with use of Mitragyna Speciosa leaves, which contains alkaloids known to have sedative and stimulating effects on the mind and body. When compared with liquid extracts and raw leaf, Kratom tea has its unique benefits. The leaves are known for the potent alkaloids embedded in it. These natural compounds are released much faster when exposed to heat. By drinking the tea, it reaches the bloodstream more rapidly and has a faster onset of effect. Contrary to what others claim, the original Kratom alkaloids are not destroyed or damaged when exposed to high temperatures. Compared to ‘toss and wash’ method, Kratom tea offers a slight difference when it comes to the experience. Most Kratom users reported that the tea is more stimulating while the pain relieving effect is a bit reduced. Also, many claims that the euphoric and mood-boosting effects are enhanced compared to the usual effect of directly taking Kratom powder, especially on an empty stomach. These claims are probably because of the rapid digestion and absorption of Kratom alkaloids. If you are looking for maximum pain relief and sedation, then this method of preparation may not be the best. 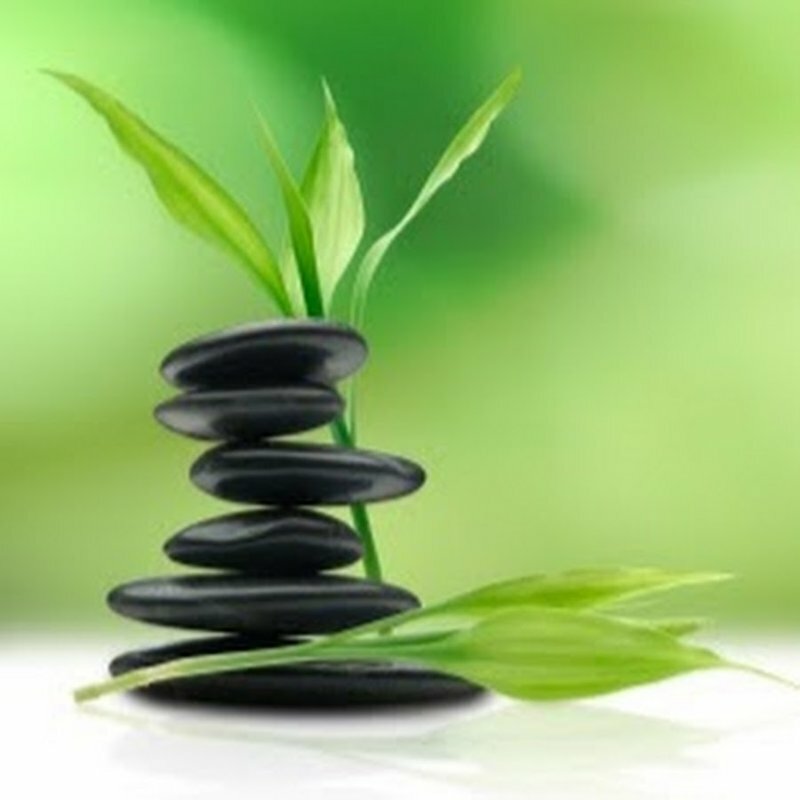 But if you are seeking for an increase in energy and enhanced mood, you will significantly benefit from this method. Interestingly, the unpleasant ‘wobbles’ can be avoided with Kratom tea, which is a common side effect when taking Kratom powder straight. Each person has their preferred way of making Kratom tea. Regardless of the way you make it, it will always bring positive effects to your body. If you feel bloated, constipated or experiencing abdominal cramps due to indigestion, Kratom tea may be the solution for you. Rather than taking over-the-counter or prescription medications, this great tea can heal the body the natural way without any side effects. Further, it prevents intestinal discomforts and constipation, hence promoting proper digestion of food and boosting your metabolism. This is the most remarkable effect of Kratom tea – it awakens your senses, invigorates your body on a cellular level and stimulates your mind. If you feel tired or sleepy, try drinking Kratom tea instead of coffee. It is the perfect beverage to pick you up, transforming your sluggish body into one oozing with energy and positivity. Though not as strong as taking Kratom straight, Kratom tea still offers pain-relieving benefits. If you are experiencing flu, headaches, body discomforts or menstrual cramps, this tea provides a soothing comfort to reduce your aches and pains. When taken regularly, your body pains are gradually healed, and you’ll feel much better. Numerous studies done in Southeast Asia have revealed that benefits of Kratom in enhancing users’ complexion and skin health. Kratom’s stimulating nature promotes circulation and increase in blood flow, which makes the complexion fair, rosy and fresher. Besides, because Kratom tea balances the pH level of the body, it helps speed up healing of skin dryness or sun-damaged skin. Because of its ability to awaken your senses, the tea also helps release endorphins – a type of peptide that activates the opiate receptors of the brain, causing a feeling of happiness, relaxation and even reduction of depression and anxiety. Just by drinking Kratom tea, you can feel better mentally, getting spa-like relaxation within the comforts of your home. Which Kratom powder to choose from to make tea? When it comes to choosing which Kratom tea powder to use, it is essential to know what kind of effect you want. Any powdered Kratom will work, but many people often prefer the red-veined Kratom strain, specifically the Red Bali as it produces a powerful relaxing effect, providing a soothing, comforting feeling that will make you forget your worries. If you want an opposite effect – that is, a strong kick on your energy level, then Maeng Da Kratom powder can do this. The White Vein Kratom can also provide this effect. Aside from the strain, the Kratom effects that you can experience will also depend on the dosage you use and your taste. Still, it is necessary to experiment on various strain to discover the right one for you. With the increasing popularity of Kratom as alternative herbal medicine, more and more people are expressing interest in this medicinal plant. Kratom is one of the best recreational and medicinal herbal supplement that has multiple uses. In order achieve all these health benefits, the only alternative is to use chemical-based drugs. The good news is: there are Kratom alternatives that are all natural, effective and provide similar effects. Are you in search of a Kratom alternative for can relieve stress and anxiety, kill pain, boost energy, enhance mood and alleviate opioid withdrawal? Also known as Kava pepper, Sakau and Tonga, Kava Kava is known for its sedating qualities. It helps relax the muscles and bring a sense of contentment, similar to Kratom. Further, it relieves anxiety, restlessness, stress-related pain, muscular spasm, and insomnia. Some clinical studies and user reports state that Kava is effective in alleviating anxiety-related symptoms such as stress and insomnia. The compound Kavalactones are responsible for influencing brain chemicals via non-opiate pathways. Many studies even suggest that Kava effect is comparable to benzodiazepines. Another significant value of Kava is its therapeutic role in managing withdrawal symptoms. Kavapyrones bind to specific brain receptors associated with addiction and cravings. It also helps improve the quality of sleep. Also famous as Kra Thum Knok, a close family of Kratom, it contains high amounts of Mitraphylline, the active compound of M. hirsute. It has an opiate-like effect on the brain. This is the reason why it is often substituted for Kratom in some recipes and preparations. Mitragyna Hirsuta also offers opiate-like effects that can help regulate blood pressure and provide oxygen to different parts of the body. Like Mitragyna Hirsuta, Mitragyna Javanica also shares the same family with Kratom. Its main benefit is alleviating pain, which is similar to Kratom but less potent. Mitragyna Javanica contains a unique compound called Mitrajavine. Mitragyna Javanica is ideal for those who want a mild substitute of Kratom. People who are new to Kratom may try M. Javanica first. It doesn’t have a robust antidepressant quality as Kratom and generates less dramatic relief to stress. This herb does not induce euphoria and sedation. Native in Western Africa, it is famous for treating different health problems such as malaria, muscle contractility, diarrhea, chronic pain syndromes and pneumonia. The main components of Akuamma seeds are the pericine and akuammine, and like Kratom, these active compounds are also opiate receptor agonists, as it binds to all three kinds of opioid receptors – delta, kappa, and mu. The analgesic and anti-inflammatory effect of Akuamma seeds run through these opioid receptors, the same action with Kratom. The main impact of Akuamma seeds are stimulating and relaxing qualities and are dosage sensitive. However, it does not produce lethal side effects. In case of overdose, a person may experience stomach upset, nausea, vomiting and dizziness. Phenibut is a medication sold under the names of Fenibut, Anvifen, and Noofen. It is chemically known as β-Phenyl-γ-aminobutyric acid, which resembles a brain chemical known as gamma-aminobutyric acid or GABA. It is a neuropsychotropic drug that works as a nootropic (to improve cognition) and anxiolytic. Phenibut elicits a response quite similar to barbiturates and benzodiazepines and is widely used in different parts of the world to treat ailments such as anxiety, fear, tension and sleep disorders. Unfortunately, Phenibut is highly addictive and can cause severe withdrawal symptoms. Addiction to Phenibut can develop in just ten days, and removal can be fatal as it leads to rebound anxiety and sleeplessness. Marijuana has the potent analgesic effect that resembles that of Kratom. It also has some euphoric and sedative effects but is less intense than Kratom. Unfortunately, Marijuana has a notorious reputation, and its medicinal and recreational uses are prohibited in many parts of the world. A potent stimulant, the seeds of Guarana contain twice the amount of caffeine in coffee beans. Its energizing effects are better than coffee due to its slower release. If you specifically need an energy boost, this can be an excellent alternative as it can reduce physical and mental fatigue, enhance athletic performance and give off a significant amount of energy. More commonly known as Blue Lotus, this herb is a natural sedative with euphoric and aphrodisiac effects. Its euphoric experience is quite similar to Kratom as it can enhance the mood, improve mental concentration and provide psychological relaxation. Blue Lotus contains a psychoactive compound called apomorphine and nuciferine, which makes this herb efficiently use as a sleep aid, anxiety reliever, stress reliever and for promoting somnolence. Many users noticed a mild stimulant-like effect. It is also used for treating gastrointestinal disorders such as dyspepsia and diarrhea. Most people view wild opium as an annoying weed. It releases a milk-like sap which has a similar effect to opium. People merely break the leaves of wild opium lettuce and gather the sap. The sap offers a numbing sensation – not the typical ‘high’ feeling, but a short-lived sense of blocking the sensation. This is the reason why it is widely used to suppress pain. Wild opium lettuce does not contain opium, but the beneficial effects mimic the effects of opium. Aside from pain relief, it is also used for persistent coughs, sunburns, and other diseases. Despite its name, it is safe and legal natural medicine. The roots of Corydalis is often used for neuropathic pain and inflammation. It can relieve menstrual, abdominal, chest and hernia pain. Many pharmaceutical companies are eyeing the chemical compound present in Corydalis – dehydrocorbulbine (DHCB), to develop a non-opioid painkiller. Corydalis is a non-addictive and safe Kratom alternative for depression, pain, and emotional disturbances. Kanna is a succulent that grows in South Africa. Also known as Channa or Kougoed, it has been used historically by hunter-gatherers and pastoralists to reduce stress and anxiety and improve the mood. It can also suppress hunger and relieve pain. Kanna is a potent natural anti-depressant as it works as a serotonin releasing agent, with a slight SSRI activity. The alkaloids present in Kanna targets the amygdala, the part of the brain responsible for processing emotion. When using Kanna, it slows down the mind’s hyperactivity and abnormally active ANS (autonomic nervous system). If you are suffering from anxiety and overthinking, Kanna is the ideal natural remedy for you. White willow bark is commonly used for pain relief. The active chemical responsible for its potent pain management benefits is salicin, a compound that works similar to aspirin, which is usually found in the bark and stem of the plant. This makes this plant useful for a headache, body ache, back pain and internal inflammation. The healing of internal inflammation also helps chronic inflammatory diseases such as tendonitis, arthritis and even systemic lupus erythematosus. Some other chemicals such as flavonoids and polyphenols have immune-boosting agents, with antioxidant and antiseptic properties, without any adverse health effects. Due to its active compound salicin, it is not recommended to be used for young children as it may cause Reye Syndrome, a severe condition that causes inflammation of the brain and the liver. For adults, most doctors approve taking 240mg for pain management. Famous for its potent adaptogenic properties, It helps reduce stress, chronic pains, fatigue, and anxiety. Its leaves and roots are believed to be the most potent. The plant’s primary active compounds include rosarian, rosin, tyrosol, salidroside, and Rosavin. Due to its highly active adaptogenic properties, it can enhance the level of energy and stamina; and improve the mood and promote self-contentment by stimulating the hormone serotonin. Originated from Africa, the bark of Yohimbe contains the popular chemical yohimbine, which is commonly used in making herbal medicine. Yohimbe is known to lower blood pressure by dilating the blood vessels – the reason why it is widely used to treat erectile dysfunction and other sexual problems. It is a natural energy booster and is commonly used to improve athletic performance, for weight loss and even for depression along with other medications. Moringa Oleifera (MO), a plant from the family Moringacea is a major crop in Asia and Africa. MO has been studied for its health properties, attributed to the numerous bioactive components, including vitamins, phenolic acids, flavonoids, isothiocyanates, tannins and saponins, which are present in significant amounts in various components of the plant. 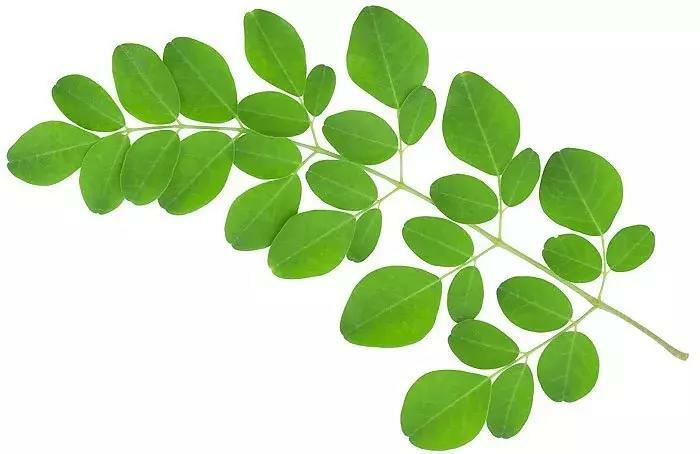 Moringa Oleifera leaves are the most widely studied and they have shown to be beneficial in several chronic conditions, including hypercholesterolemia, high blood pressure, diabetes, insulin resistance, non-alcoholic liver disease, cancer and overall inflammation. In this review, we present information on the beneficial results that have been reported on the prevention and alleviation of these chronic conditions in various animal models and in cell studies. The existing limited information on human studies and Moringa Oleifera leaves is also presented. Overall, it has been well documented that Moringa Oleifera leaves are a good strategic for various conditions associated with heart disease, diabetes, cancer and fatty liver. 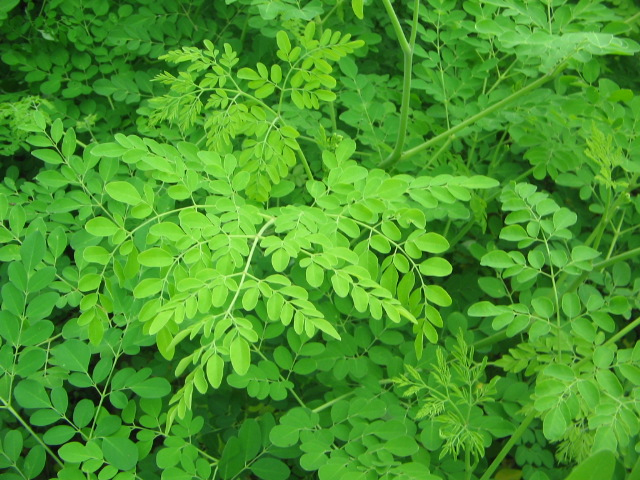 The leaves of the moringa oleifera (MO) plant may have protective effects against a plethora of chronic diseases, researchers have detailed in a new review. If you're suffering from digestion problems or coming down with a cold, try a cup of Chai tea to help strengthen your immune system, ease painful inflammation and improve digestion. 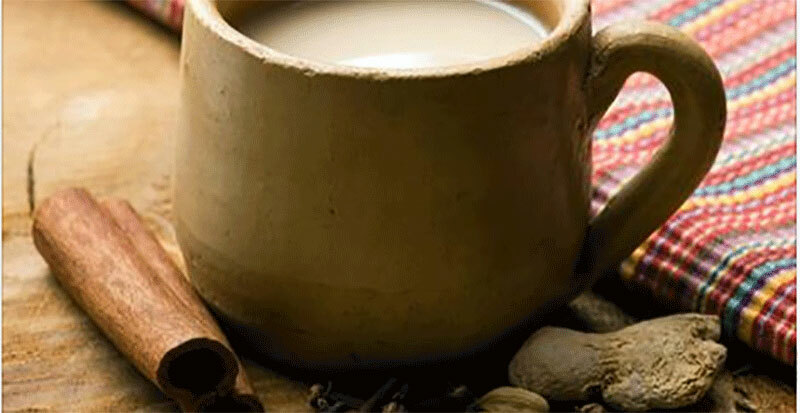 The main ingredients in Chai tea contain powerful antioxidants which can help destroy free radicals, suspected to cause some cancers, skin conditions, and other disorders. Simmer spices in water for 10 minutes. Add coconut milk and sweetener. Strain before serving. 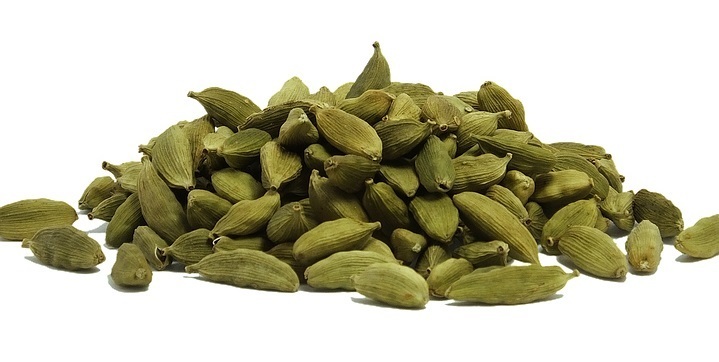 Cardamom is said to benefit the lungs, kidneys, and heart. It is also a mood elevator. Cinnamon can help lower blood sugar and cholesterol and may help fight colon cancer. Ginger can help to reduce inflammation, strengthen the immune system and improve digestion. It is also said to prevent some cancers by encouraging apoptosis and inhibiting cancer cell proliferation. Ginger can it also ease some asthma symptoms and helps support cardiovascular health. Enjoy & Be Well ! There’s growing anecdotal evidence that marijuana relieves fibromyalgia pain, but actual research is still scant. Cannabis remains a schedule I controlled substance in the United States, making it difficult for researchers to study the plant’s pain-relieving properties. To date, there have been less than a handful of small studies using cannabis or its derivatives to treat fibromyalgia. Most of those have shown it to be beneficial, especially for pain relief. But why does cannabis seem to work so well? Dr. Ethan Russo, medical director of PHYTECS, believes fibromyalgia’s multifaceted symptoms may be caused by a deficiency in the body’s endocannabinoid system (ECS), a condition he calls Clinical Endocannabinoid Deficiency (CED). Maybe the reason cannabis is so effective is because it’s simply supplementing what the body needs – similar to how people take a supplement to treat vitamin D or B12 deficiency. Russo explores the evidence behind his hypothesis in a soon-to-be published review entitled, “Clinical Endocannabinoid Deficiency Reconsidered: Current Research Supports the Theory in Migraine, Fibromyalgia, Irritable Bowel and other Treatment-Resistant Syndromes.” While his idea is still theoretical, there is some early research indicating he may be onto something. The ECS is made up of cannabinoid receptors within the brain, spinal cord, nerves, gut, organs and other locations in the body. It helps the body maintain homeostasis and is involved in a number of physiological processes, including pain sensation, mood, memory and appetite, among others. The body naturally makes endocannabinoids – the same kinds of endocannabinoids found in cannabis – that feed the ECS and keep it functioning. Fibromyalgia causes symptoms throughout the body, with the primary ones being pain, fatigue, cognitive and sleep difficulties. Certain conditions, like irritable bowel syndrome (IBS) and migraine, are extremely common among those with fibromyalgia – so much so that Russo believes they may all be connected to an ECS deficiency. His theory makes sense. The ECS plays a role in so many of the body’s major systems, so if it was indeed malfunctioning, that would account for why fibro sufferers have such varied symptoms. Supplementing the ECS with cannabinoids from the cannabis plant would, in theory, relieve symptoms because the deficiency is being treated. Russo first posited that fibromyalgia, IBS and migraine may be caused by an ECS deficiency back in 2001. (Click here to read his first review on the subject.) His latest review gives an update on new research that supports ECS deficiency as a possible culprit for fibromyalgia, IBS and migraine. CED is based on the premise that many brain disorders have been linked to neurotransmitter deficiencies. For example, dopamine has been implicated in Parkinson’s disease, and serotonin and norepinephrine have been associated with depression. 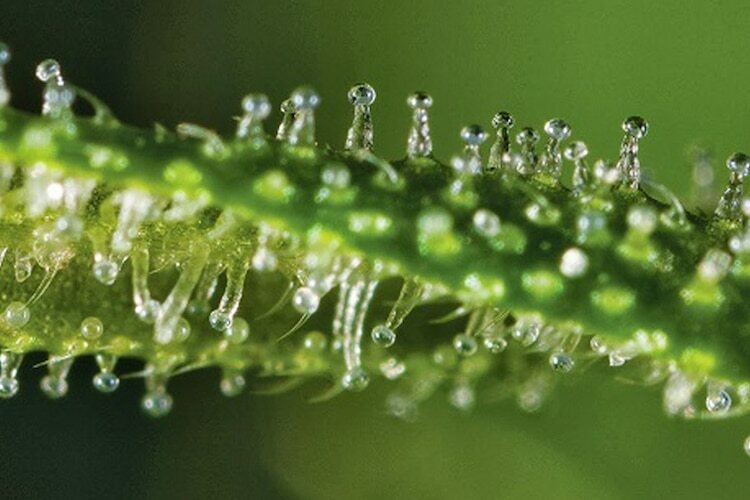 “If endocannabinoid function were decreased, it follows that a lowered pain threshold would be operative, along with derangements of digestion, mood and sleep among the almost universal physiological systems sub-served by the ECS,” Russo writes. That’s a mouthful, but essentially it means if the ECS isn’t properly working, then it could account for the pain, sleep, digestive and other issues so common among fibromyalgia patients. Adding cannabinoids to the body through the use of cannabis may help to bring the ECS back into balance. The best evidence for CED comes from an Italian migraine study, which found reduced levels of an endocannabinoid known as anandamide in patients with chronic migraines versus healthy controls. “Reduced [anandamide] levels in the cerebrospinal fluid of chronic migraine patients support the hypothesis of the failure of this endogenous cannabinoid system in chronic migraine,” read the study. Unfortunately, the Italian study will probably never be repeated in the United States because it required risky and invasive lumbar punctures. In the gut, the ECS modulates the movement of food along the digestive tract, the release of digestive juices to break down food and inflammation. Cannabis has long been used to treat digestive issues and was one of the first effective treatments for diarrhea caused by cholera in the 19th century. “Unfortunately while many patient surveys have touted the benefit of cannabinoid treatment of IBS symptoms, and abundant anecdotal support is evident on the Internet, little actual clinical work has been accomplished,” Russo writes. A few studies using marijuana for fibromyalgia have had positive results. Overall, marijuana has been found to decrease pain and anxiety, and improve sleep and general well-being. More research needs to be done to either prove or disprove CED’s existence. “What we really need is randomized controlled trials to look at this more carefully, and that’s the only kind of evidence that the [Food and Drug Administration] and most doctors are going to find acceptable in the end,” Russo says. 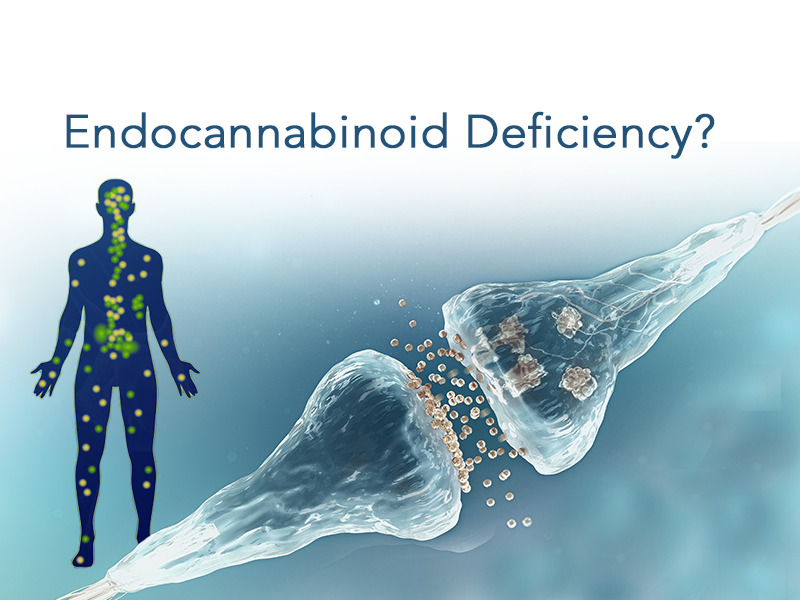 MRI and PET scans are not yet able to detect endocannabinoid levels in living patients, but as technology advances, that may become a possibility. The ability to actually test endocannabinoid levels in fibromyalgia patients and compare those against healthy controls would help to confirm Russo’s theory. Every moment you have a choice – to be at peace or to be in resistance. When you are at peace, you attract positive energy and when you resist you create negative vibes that reflect back on your being. It’s a simple choice that you need to make. It’s not your boss, colleagues, parents, ex or the traffic, but your own perception that creates stress and negative energy. Circumstances are neutral. You will generate positive vibes when your inner state is one of alignment and congruence, instead of being in resistance. Here are a few tips to attract positive energy into your life by staying in touch with your inner peace and stillness. Any form of meditation is helpful but it’s best to keep it simple. Just practice the meditation of becoming aware of your presence. You don’t have to sit in any strident posture; just relax and feel your consciousness or presence in the midst of the thoughts and emotions. If you want, you can also consider chanting a mantra like ‘OM’ or ‘AUM’. Focus your complete attention on this sound and the vibration it creates in your body. This is a very powerful practice that creates a positive vibe throughout the body. The right music can heal and raise our vibrations. Create a playlist of songs that have a positive affect on you. Listen to this playlist every morning immediately after waking up or while getting ready for the day. Dance or move your body to the rhythm if you feel like. This is a great way to get your share of exercise for the day and in doing so, shake off that lethargic/draining energy from your body. A day is easily ruined when you start holding resentment against someone. Know that everything is oneness and though we appear as different forms, everything is the manifestation of the one true essence. When you see others as yourself you will not harbor negative feelings and in turn your attitude will attract positive energy from the people around you. Life is a flux and its nature is change. The more you resist the more a particular situation will persist. Whenever you try to control a life situation, you will feel stressed out and this will generate a lot of negative energy. Just imagine life to be a raging river, does it serve any purpose to struggle? Wouldn’t it be much more relaxing and peaceful if you just let go and allow yourself to float with the flow? People who stay surrendered and relaxed generate a lot of positive energy and attract the grace of life. Know that good and bad are just perceptions created in the conditioned mind. In reality every life situation is pure grace and is the manifestation of the one truth – call it God or Spirit or Energy. When you see every situation with this innocence, it will reveal its grace to you. Whether from a health condition, a deficiency or due to diet, shoppers know taking a supplement is a great way to provide the additional nutrients they may lack. But do they also know the advantages that come with taking a supplement derived only from plants? With a rising trend in transparency and organic initiatives, shoppers may benefit more than ever by understanding what exactly makes these supplements special. While many supplements are made synthetically using chemical processes that extract or isolate a particular nutrient to provide a concentrated supplement, plant-based supplements are derived from whole foods, namely fruits, vegetables and grains. Plant-based supplements work through interaction with micronutrients and metabolites found in the plant. These nutrients tend to work together to maximize their efficacy. You can still benefit from the same cannabinoids that give the cannabis plant its medicinal properties, without consuming cannabis. There are several foods rich in cannabinoids that benefit the body’s endocannabinoid system. This system is responsible for helping the body maintain internal balance, also called homeostasis. Foods that support the function of the endocannabinoid system are pivotal to overall health and well-being. Here are five foods that contain healing cannabinoids and offer therapeutic benefits similar to cannabis. Black pepper has much in common with cannabis. The plant’s aroma molecule, called beta-caryophyllene (BCP), functions as a cannabinoid. Similar to other plant-based cannabinoids, BCP binds with the CB2 receptors. This gives black pepper its therapeutic effect of reducing inflammation. Various research has suggested that BCP could be used for the treatment of arthritis and osteoporosis. In addition, it may potentially increase the effectiveness of certain anti-cancer drugs. 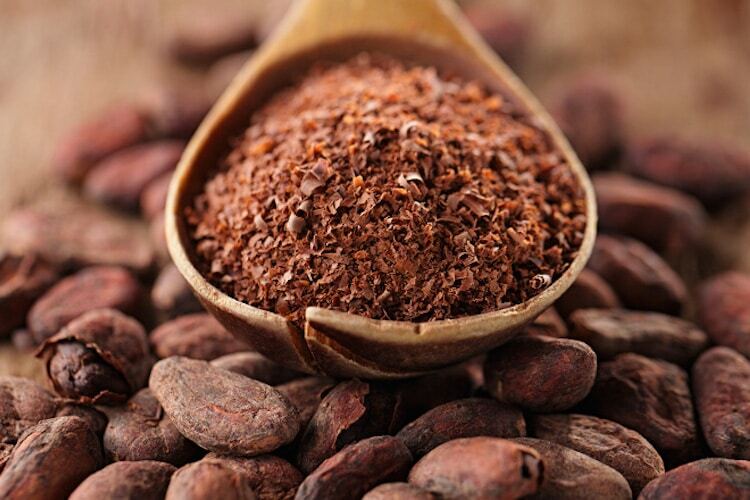 The cacao plant has many therapeutic properties. It affects the endocannabinoid system by deactivating the enzyme called FAAH. This enzyme typically breaks down the endocannabinoid known as anandamide. Scientists identify anandamide as the body’s natural version of THC. That’s why eating delicious, organic dark chocolate can give you the sensation of being relaxed and happy. Researchers at the Neurosciences Institute of San Diego were able to back up the claims that chocolate does contain three compounds that act as healing cannabinoids. Similarly to cannabis and cacao, black truffles also create anandamine. Some have dubbed anandamide “the bliss molecule,” because it helps the body regulate mood. In addition, it regulates how we perceive pain. It does this by binding with CB1 receptors that are present in the central nervous system. Typically used in a medicinal tea, kava can ease anxiety and chronic pain. It is also induces a sedative effect. Hence, in certain cultures kava tea has become a popular natural anxiety remedy. Kava is the national drink of Fiji. 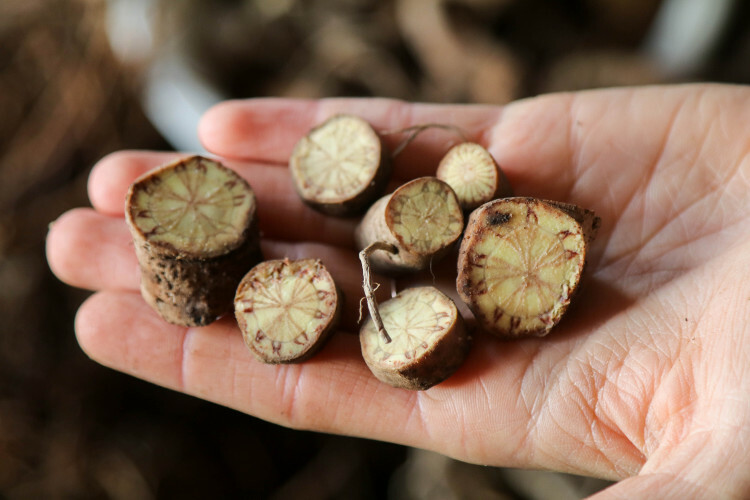 It is made by mixing the powdered kava root of this peppery plant with water. Similar to THC, components in kava bind to CB1 receptors in brain locations associated with addiction and cravings. For decades, Pacific Islanders in Fiji have been using kava as a treatment for addiction. This plant is well-known for its ability to help the body fight off the common cold. It is also used to relieve anxiety, fatigue, migraines, and arthritis. Echinacea is a bit different than cannabis because it uses cannabimimetics instead of cannabinoids to engage the endocannabinoid system, particularly the CB2 receptor. Similar to THC in cannabis, the N-alkyl amides (NAAs) in Echinacea are responsible for regulating the immune system, pain and inflammation. As an aside, you may also find it interesting that hemp seeds and hemp seed oil contain very low concentration of cannabinoids, at less than 25 parts per million (ppm). Compare this to CBD oil extracts produced from cannabis plant flowers, which have 150,000 ppm CBD. (source) Cannabidiol (CBD) is the most common cannabinoid in most cannabis plants. Anna Hunt is the founder of AwarenessJunkie.com, an online community paving the way to better health, a balanced life, and personal transformation. She is also the co-editor and staff writer for WakingTimes.com. Anna is a certified Hatha yoga instructor and founder of Atenas Yoga Center. She enjoys raising her three children and being a voice for optimal human health and wellness. Visit her essential oils store here. Will New Laws Punish Pain Patients? Recent efforts by state and federal lawmakers aimed at punishing drug traffickers could wind up sending people to prison simply for seeking pain relief, according to critics. This week the American Kratom Association (AKA) sent an action alert to members warning that a bill introduced by Sen. Chuck Grassley and Sen. Dianne Feinstein could be a “backdoor way” of banning kratom -- an herbal supplement that millions of people use as an alternative to opioid painkillers. The “Stop the Importation and Trafficking of Synthetic Analogues Act of 2017” – also known as the SITSA Act – would give the Attorney General the power to list as a “Schedule A” substance any unregulated drug that has a chemical structure similar to that of a drug already listed as a controlled substance. A similar measure has been introduced in the House. The bills are ostensibly aimed at banning chemical cousins or “analogues” of fentanyl, a powerful synthetic opioid blamed for thousands of overdose deaths that is increasingly appearing on the black market. But kratom supporters fear the SITSA Act could also be used to ban kratom, something the Drug Enforcement Administration tried unsuccessfully to do last year, claiming it was an "opioid substance" with “a high potential for abuse.” Kratom is not an opioid, but it has opioid-like properties that reduce pain or act as a stimulant or depressant – much like a controlled substance. Ash wants the SITSA Act to be amended to exclude natural botanicals like kratom. In its current form, she says the bill could impose prison sentences of up to 20 years for importers or exporters of kratom, which is made from the leaves of a tree that grows in southeast Asia. 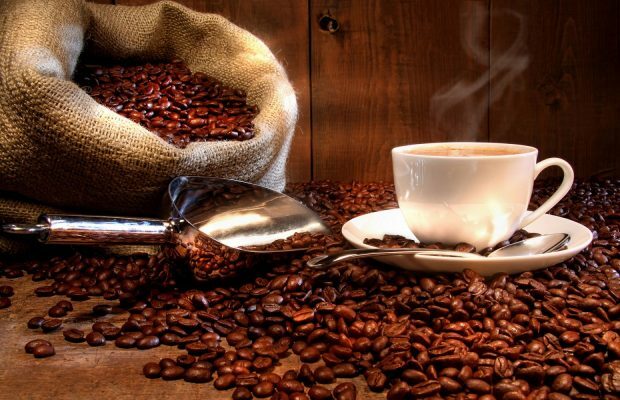 Coffee is one of those products that has a 50/50 split when it comes to health benefits and health risks. While some people do extremely well with it, others feel jittery or experience other side effects that aren’t enough to offset the benefits. What few people realize, however, is that not all coffee is created equal. Caffeine has protective effects against Parkinson’s disease, Alzheimer’s, dementia, stroke, and heart disease; it also lowers the risks of oral cancers, and type 2 diabetes. At the same time, caffeine is a drug that can be addictive, and coffee can promote anxiety, insomnia, and fatigue; it is a health risk for people with diabetes and blood pressure issues, and it can cause different digestive issues. Coffee also is one of the higher-pesticide crops out there, making it especially important to buy it organic. And because coffee can many times come from several different origin spots, mold has become a consistent problem. In fact, an entire culture of health-crazed consumers have begun following the popular “Bulletproof Diet” by author and podcast host Dave Asprey, which is centered around drinking coffee that is especially created in order to be low in mold residues. The brewed coffee usually has grass fed butter and special types of coconut oil mixed in. In terms of coffee itself, acidity from long-term consumption can also contribute to health problems. Cardamon seeds can be ground up and added to coffee, and for cooking as well. Many of the the negative health effects also come from the acidity of coffee. It has a pH value of about 5.0, while the human body needs to be at about 7.4 for optimal health. Foods that are between 7.30 and 7.45 are the ones that will make most people feel the best in the long run, once the body becomes acclimated to digesting them. While it was not yet figured out how to brew alkaline coffee (although low-acidity coffee does exist), there is one trick we can borrow from the Middle Eastern as well as Indian cultures – adding the spice cardamom to coffee will help mitigate its acidity. Cardamom like most spices is very alkaline, and it also happens to mix really well with coffee from a flavor profile standpoint. It will help neutralize your body’s pH level when drinking coffee. This spice is also warming and soothing to the digestive system, and it clears the lungs and opens the heart. Cardamom helps detoxify the body, promotes oral health, and is an anti-inflammatory. The recommendation is between a few pinches to half a teaspoon of powdered cardamom to a 12-ounce cup of coffee. Not only does it add healing properties to your coffee, it also has a strong aroma and a unique flavor. Traditionally cardamom is added to Turkish coffee, which has a distinctive taste and smell. Many people who tried it, like it so much they can never go back to drinking coffee without it. Turkish coffee should not be stirred, so that the foam does not collapse. To brew the coffee, you will need an ibrik (a Turkish coffee pot) if you have one or a saucepan. Step 1: Bring water and sugar to boil. Remove from heat and add coffee with cardamom. Step 2: Return to heat to bring to boil again until the coffee foams, then remove from heat. Step 3: Repeat step 2. Step 4: Pour in a cup. Let stand for a few minutes, and serve (do not stir). Like cannabis, these botanical alternatives are great for elevating your mind, body, and spirit. From preventing cancer to decreasing anxiety to improving eyesight, the cannabis plant boasts incredible health benefits. Thankfully, due to cannabis reform, we’re beginning to unlock the mysteries of our endocannabinoid system, maximizing the potential of this potent plant medicine. As we all know, cannabis isn’t the only plant that boasts benefits; most of the plant kingdom nourishes, heals and soothes, too. Common salad herbs like cilantro and parsley are known to remove heavy metals from the body while celery juice prevents GERD and liver disease. Herbs have been used for medicinal and spiritual purposes since the dawn of humankind, so what other wonders may be lurking in our salads, backyard gardens, and beyond? In the everlasting quest to hip ourselves to the miracles of all things “trees,” check out these six cool botanicals that support a balanced approach to health. Aloe vera can be used both externally and internally, and its antibacterial and antioxidant properties have been enjoyed for centuries. Aloe supports cellular regeneration, digestion, and anti-inflammatory action, as well as skin moisturizing. Dubbed the “the plant of immortality” by the Egyptians, Aloe vera is known to promote anti-aging outcomes. It’s chocked full of valuable enzymes, minerals, amino acids, and vitamins like A, C, E, B12. Schisandra has been called the "quintessence of Chinese tonic herbs,” for those unfamiliar. 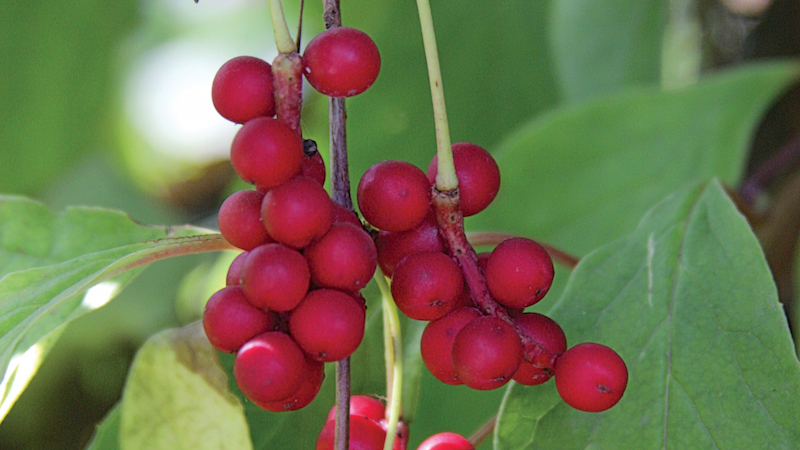 The plant was originally recorded as a superior herb in the ancient Chinese Shennong pharmacopeia between 1st and 2nd century A.D. A known adaptogen (or natural substance that stabilizes the body’s physiological processes), this special red-berried plant helps people resist stress and disease while increasing endurance and energy. Schisandra is also used to tonify the blood and normalize blood pressure, promote beautiful skin, maintain sexual energy, and boost memory. Native to the high plateaus of the Andes Mountains in central Peru, maca is often referred to as “Nature’s Viagra” due to its ability to arouse sexual desire, stimulate blood flow, improve fertility, and correct hormone imbalance. It’s also known to ameliorate menstrual pain and menopause symptoms. A cruciferous vegetable with a bulbous downward growing root, maca is often dried and powdered into potent medicine containing many salubrious fatty acids, amino acids, vitamins, and minerals. Basil, one of nature’s most aromatic herbs and a favorite on pasta and pizza alike, is an excellent source of iron, potassium, magnesium, vitamin C, and calcium. As a healing herb, basil is used to treat an array of maladies, like poor circulation, kidney infections, stomach spasms, intestinal gas, head colds, and loss of appetite. Others use basil to soothe insect and snake bites and women sometimes use it to boost breast milk production. Scholars believe kelp, or brown seaweed, first came into existence 5-20 million years ago. A rapidly-growing marine plant found in shallow, mineral-rich ocean water, kelp is known to reduce blood clots, lessen inflammation, and protect against viruses. Kelp is one of the world’s most potent sources of iodine, and the plant is also known for being high in amino acids, omega-3 fats, fiber, phytonutrients, antioxidants, vitamins, as well as magnesium, potassium, boron, iron, and calcium. Camu camu is a shrub that lives along the watery floor of the Amazon rain forests in Colombia, Brazil, Peru, and Venezuela. Its cherry-like fruit are incredibly high in vitamin C and contain notable amounts of beta-carotene, protein, and fatty acids. Camu camu is also a potent antioxidant and immune system stimulant, used to treat shingles, headaches, glaucoma, asthma, depression, and gum disease. Research indicates that camu camu can act like a sedative, balancing mood swings and soothing anxiety, as well as preventing cancer and improving muscle tone. Zoe Wilder is a writer based in Portland, Oregon, with a Bachelor of Arts in English Literature from the College of William & Mary and a Master of Social Work from Fordham University. Some of the most interesting health benefits of kratom leaves include their ability to lower blood pressure, relieve pain, boost metabolism, increase sexual energy, improve the immune system, prevent diabetes, ease anxiety, help with addiction, eliminate stress, and induce healthy sleep. Native to Southeast Asia, kratom is a tropical deciduous tree that is widely used throughout the region for medicinal purposes. The scientific name of this evergreen tree is Mitragyna speciosa, and it has had a very interesting history, including being banned in Thailand (despite being indigenous there), as it was a natural substitute for opium, thereby affecting the economy of the country. It does have many morphine-like effects, but that isn’t where the benefits of kratom leaves ends. Also, there is no addictive quality of kratom leaves, which is very valuable given some of its long-term applications for human health. The majority of the health benefits of kratom leaves are derived from the unique chemical compounds and nutrients found within the leaves of the plant, including a wide range of alkaloids and other organic substances that affect many of the organ systems of the human body. The plant’s leaves are widely chewed in countries where the tree grows naturally, and some high estimates suggest that up to 70% of the male population of Thailand chew anywhere from 10-60 leaves each day. The calming, soothing effects, as well as the undeniable health benefits of the leaves, are clearly positive in nature, which is what causes such a controversy. Essentially, kratom leaves are a substitute for opium, a highly addictive and dangerous drug, yet these leaves are seen as perfectly harmless, as regular as having a snack between meals. Now, let’s take a closer look at some of the fascinating health benefits of kratom leaves. Pain Relief: One of the most obvious and widely known effects of kratom leaves is pain relief. Since the leaves were first introduced to their indigenous cultures, this has been a primary use, as the analgesic properties of the alkaloids and nutrients of the leaves can quickly relieve pain throughout the body by impacting the hormonal system. By increasing the amount of serotonin and dopamine that is released into the body, pain can be alleviated (or masked) by chewing on kratom leaves. Essentially, the alkaloids dull the pain receptors throughout the body. This morphine or opium-like quality of kratom leaves is widely regarded as its most important application. Immune System Booster: Independent studies on the various alkaloids found in kratom leaves have shown that the combinative effects can have major effects on the strength and resilience of the immune system. While this research is still being qualified and checked, traditional and anecdotal beliefs about kratom leaves show that it can reduce the severity of illnesses or prevent illness altogether. Energy Booster: The metabolic effects that kratom has is one of the other reasons that the leaves are so popular, particularly with laborers in various countries. It can increase your energy levels by optimizing certain metabolic processes and impacting hormone levels. This is a result of increased circulation, despite its soothing nature, and a general increase in oxygenated blood to areas of the body that needs it, combining with increased metabolic activities to provide a burst of energy. For sufferers of Chronic Fatigue Syndrome, kratom leaves are often an alternative, natural solution. Sexual Stimulant: This is seen particularly in the case of sexual libido and fertility. Kratom is seen by many traditional practitioners and users as an aphrodisiac and a fertility booster, as the extra energy and blood flow can help increase fertility, re-energize a tired libido, and improve duration/conception rates. Anxiety and Mood Swings: As you can probably imagine, any substance that is able to relieve pain and cause opium-like effects on the body will also likely have an impact on the mental stability and tone of an individual. Kratom leaves are widely used as anxiolytic substances for people who suffer from chronic stress, depression, anxiety, and mood swings. By regulating the hormones in our body, people can finally get relief from these exhausting symptoms of a chemical imbalance without having to rely on pharmaceuticals and all of the implicit side effects of those drugs. Addiction Recovery: Due to the inherently healthy nature of kratom leaves, in combination with their range of effects, they have been used as a method of curing addiction for hundreds of years. In many cultures, opium addiction is a major issue, but regularly chewing on kratom leaves provides a similar sensation without the comedowns and negative side effects. Therefore, when people are attempting to “get clean” and stay that way, they often turn to kratom leaves as a tolerable solution, thereby making these leaves very valuable in many parts of the world. This also helps to cover withdrawal symptoms during the transition away from that more intense drug. Heart Health: Studies have connected the use of kratom leaves to a distinct drop in blood pressure. As the leaves and their chemical components impact the body’s hormones, they also reduce inflammation throughout the body, including in the blood vessels and arteries. By relieving that tension in the cardiovascular system, kratom leaves are able to help prevent more serious heart conditions, such as atherosclerosis, heart attacks, and strokes. Diabetes: One of the lesser known benefits of kratom leaves is their effect on blood sugar levels. Limited research has shown that the alkaloids found in the leaves are able to help regulate the amount of insulin and glucose is in the blood, effectively preventing the dangerous peaks and troughs that diabetics face. This can not only help diabetics manage their disorder, but also prevent it from developing in the first place. A Final Word of Warning: Although there is no known danger, provided that the recommended amount is taken initially, some people do experience certain side effects, such as fatigue, nausea, and constipation. This is usually a first- or second-time response and your body does acclimate to the sensation. Other claim a “kratom hangover”, which includes headaches or nausea in the morning after use. This is something you can determine for yourself, based on your particular sensitivities. The health benefits of Black Pepper Essential Oil can be attributed to its properties as a digestive, diaphoretic, carminative, aperient, antispasmodic, antirheumatic, antiarthritic, antibacterial, and antioxidant substance. 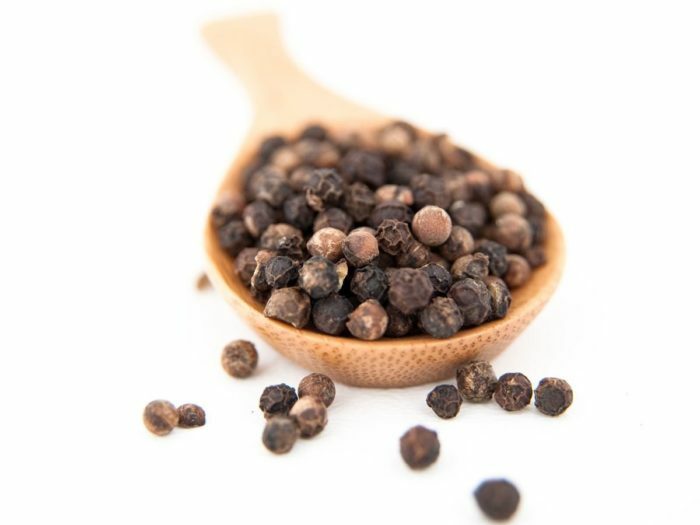 Black Pepper is considered a condiment or a spice that is very common and popular throughout the world. It is extensively used in culinary applications. It tastes hot and has an appetizing aroma. 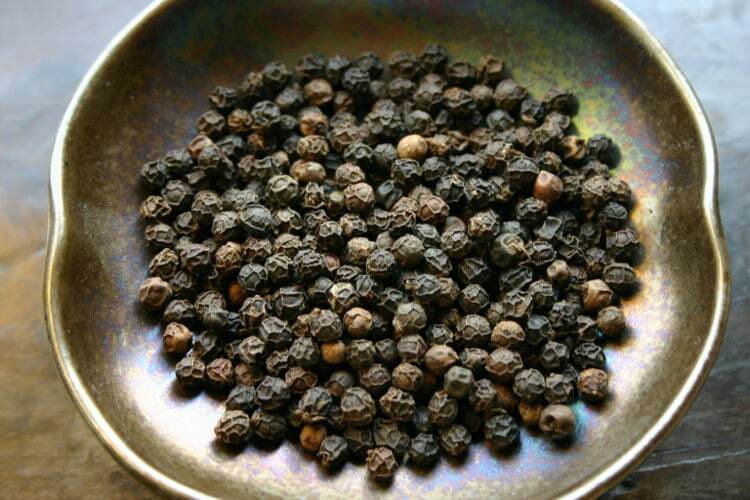 Black pepper is the dried fruit of the pepper plant, whose scientific name is Piper Nigrum. In the distant past, it was considered sacred and was even used as a form of currency. It was so valuable that it was traded for gold and was one of the most prized trade items exported from India to the rest of the world. It was considered more valuable than gold. The main components of black pepper essential oil are Limonene, Pinene, Myrcene, Phellandrene, Beta Caryophyllene, Beta Bisabolene, Sabinene, Linalol, Pinocarveol, Alpha Termineol, Camphene and Alpha Terpenene. Apart from those, black pepper is also rich in minerals and vitamins like Calcium, Manganese, Iron, Vitamin-K, Beta Carotene, Phosphorus, Potassium and Selenium. Let’s explore more about the wide range of impressive health benefits that black pepper essential oil has in store for us! Digestive: Black pepper is remarkably beneficial for digestion because it stimulates the whole digestive system, from the salivary glands in the mouth to the large intestine, including promoting secretion of digestive juices like acids and bile into the stomach to facilitate digestion. Black pepper can be safely used as a spice for food for people who are on a bland diet or are otherwise forbidden to have chilies. People suffering from ulcer of the mouth or digestive system, jaundice, or extreme acidity should avoid consuming chili peppers. Black pepper is a delicious and healthy alternative. Antispasmodic: It is an effective antispasmodic and gives good relief in case of cramps, muscles pulls, spasms, or convulsions. Carminative: Black Pepper Essential Oil is carminative and helps remove gases and prohibit additional gas formation in the stomach and in the intestines. It also helps inhibit bacteria that are responsible for the formation of gas. Aperient: Black pepper oil has mild purgative properties, but it is safe for the system, unlike other purgatives like Castor Oil. It helps clean the intestines and at the same time, cures infections in the digestive and the excretory system. Antirheumatic & Anti-arthritic: These are two of the best qualities of black pepper oil. It is warming, stimulating and improves circulation, thereby giving immediate relief for rheumatism and arthritis, particularly during the winter when the symptoms are aggravated the most. It is also effective in removing toxins like uric acid from the blood, thereby benefiting people suffering from chronic rheumatism, arthritis, and gout. Diaphoretic & Diuretic: Black pepper oil, when ingested, increases sweating and urination. Both of these properties play an important role in the removal of toxins from the body, clearing of the pores on the skin, and disinfecting the body. Sweating and urinating help eliminate extra water and fat from the body, thereby reducing weight, lowering blood pressure and making the body very relaxed. These properties are also helpful for reducing inflammation. Antioxidant: This is yet another beneficial property of black pepper oil. It protects the body from damages done by oxidants (free radicals) and also helps to repair those damages that have already been done. It also delays adverse affects of aging such as vision loss, macular degeneration, wrinkling of the skin, degeneration and loosening of the muscles, loss of mobility in the joints, nervous disorders, and memory loss. Antibacterial: It has good antibacterial properties that you can enjoy without any adverse side effects. It is very effective in curing bacterial infections in the mouth, colon, digestive system, and urinary tract. It also disinfects food that it is added to and protects them from bacterial infections for long periods. Other Benefits: Black pepper oil is rich in certain useful minerals and vitamins too. For example, there is vitamin-A (Beta Carotene), which is very beneficial for ocular health as well as for antioxidant activity. It has vitamin-K, which is essential for maintaining proper circulatory and metabolic functions, muscles, and bones. Furthermore, it has calcium, potassium and selenium. While calcium is good for bones and potassium for regulating blood pressure, selenium is essentially required for the proper formation of bones, nails, hair follicles and teeth, as well as for proper functioning of the brain. 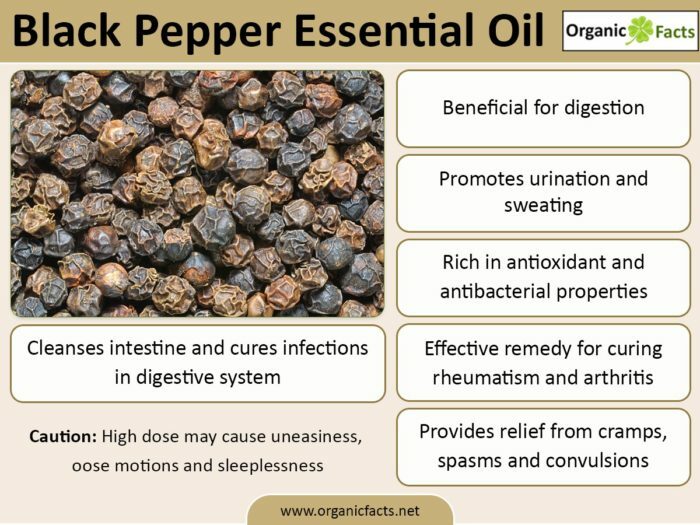 A Few Words of Caution: There is nothing to be inherently scared of when it comes to black pepper oil, except that if taken in large quantities, it may cause uneasiness, unrest, vomiting, loose motions, irritation and inflammation of the intestines, sleeplessness, overheating, and smelling strongly of pepper. However, there is nothing serious about these symptoms. That being said, keep pepper away from the eyes and nose, as it may cause irritation, sneezing, and burning of the eyes. Blending: Black pepper oil can be blended with Lemon, Lime, Lavender, Sage, Sandalwood, Mandarin, Ylang-Ylang, Juniper, Bergamot, Clary Sage, Clove, Ginger, Geranium, Coriander, Grapefruit, Fennel and Frankincense oils. Will The FDA's New Prescription Painkiller Warnings Make A Difference? 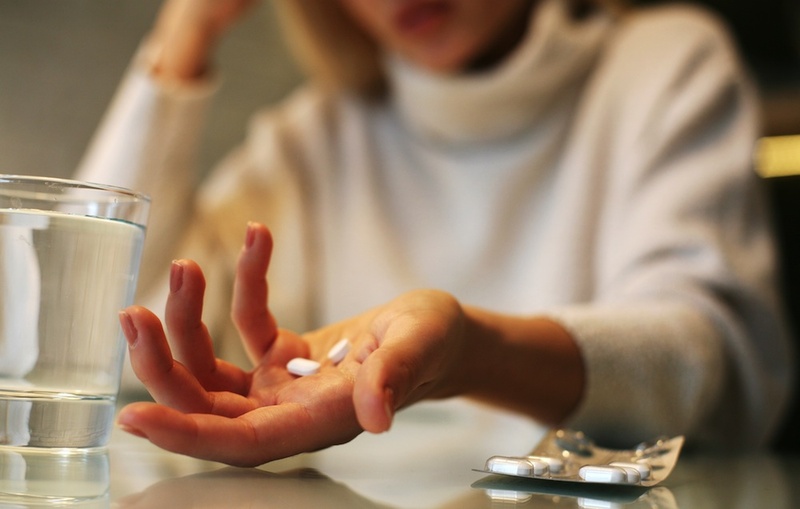 Addiction to pain pills has become an epidemic, especially for women. The Food and Drug Administration (FDA) announced at the end of March that it will require common opioid painkillers like oxycodone and morphine to carry a “black box” warning. These are the strongest warnings the FDA can issue, and this one will caution users about the potential for addiction, abuse, and overdose. What’s behind the move? Opioid addiction has been on the rise for decades in the U.S. and has reached epidemic-like proportions. It’s also a big problem for women. According to the Centers for Disease Control and Prevention (CDC), every three minutes, a woman goes to the ER after abusing prescription painkillers—and in 2010 (the latest year for which stats are available), five times as many women died from overdosing than in 1999. The hope with the new warning, the FDA says, is that it will raise awareness of the potential risks involved with taking opioids. “Today’s actions are one of the largest undertakings for informing prescribers of risks across opioid products, and one of many steps the FDA intends to take this year as part of our comprehensive action plan to reverse this epidemic," said FDA commissioner Robert Califf, M.D., in a press release. Yet, while a severe warning sounds good in theory, is it really going to do all that much? Steve Yoon, M.D., a physiatrist at Kerlan-Jobe Orthopaedic Clinic in Los Angeles, who is trained in pain medicine, is hopeful. “This black box warning may make a practitioner think twice before prescribing this medication,” he says. There are few things more relaxing than a long soak in the tub or a hot cup of herbal tea. Put them together, and you’ve got a sweet combination that soothes body and mind. The addition of herbs just ups the goodness quotient. An herbal tea bath can elevate your mood (hello, jasmine), help you sleep (lavender, chamomile), chill you out after a stressful day (hibiscus), or energize you all over (peppermint). While you could toss a bunch of Celestial Seasonings bags in to soak with you, it’s easy and fun to make your own special bath tea to keep on hand for when you need a little You time. Bonus: The recipe below won’t stain your tub! Move over coffee, and make way for dark chocolate. New research shows that eating a piece of dark chocolate activates the brain to increase attention levels. Stevens said his team wanted to investigate whether people who eat chocolate would experience an immediate stimulant effect. The study is the first to observe the effects of chocolate on attentional characteristics of the brain and the first-ever study of chocolate consumption performed using electroencephalography (EEG). EEG studies take images of the brain while it is performing a cognitive task and measure the brain activity. Chocolate is generally recognized as a vasodilator, meaning that it widens blood vessels and lowers blood pressure in the long run, but chocolate also offers some powerful stimulants. “A lot of us in the afternoon get a little fuzzy and can’t pay attention, particularly students, so we could have a higher cacao content chocolate bar and it would increase attention,” Stevens said. He added that a regular chocolate bar high in sugar and milk won’t be as good. 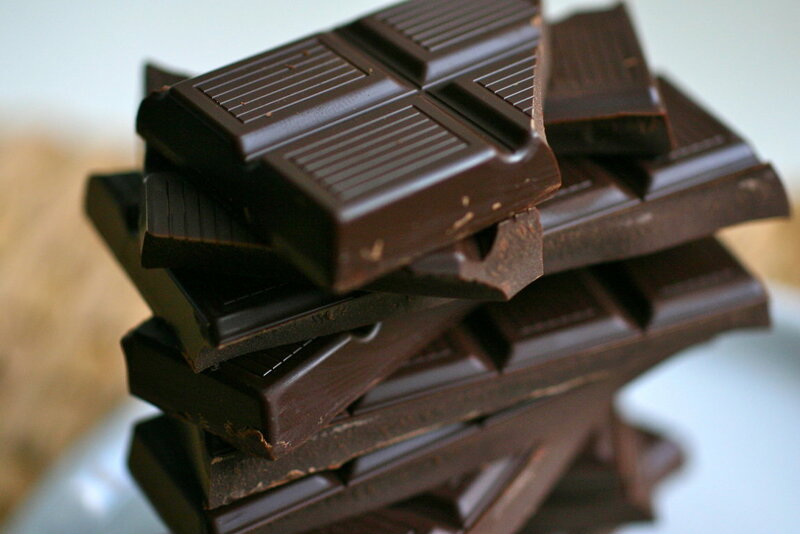 The strongest effects are found in chocolate that is high in cacao (dark chocolate). The researchers conducted the EEG study with 122 participants between the ages of 18 and 25 years old. The researchers examined the EEG levels and blood pressure effects of consuming a 60 percent cacao confection compared with five control conditions. The findings show that the brains of participants who consumed the 60 percent cacao were more alert and attentive after consumption. Their blood pressure also increased for a short time. The most interesting finding came from one of the control conditions, a 60 percent cacao chocolate which included L-theanine, an amino acid found in green tea that acts as a relaxant. “L-theanine is a really fascinating product that lowers blood pressure and produces what we call alpha waves in the brain that are very calm and peaceful,” Stevens said. For participants who consumed the high-cacao content chocolate with L-theanine, researchers noticed an immediate drop in blood pressure. “It’s remarkable. The potential here is for a heart healthy chocolate confection that contains a high level of cacao with L-theanine that is good for your heart, lowers blood pressure, and helps you pay attention,” Stevens said. The study, sponsored by the Hershey Company, is published in the journal NeuroRegulation. A new study has shown the herb Rhodiola rosea, also known as golden root or roseroot, may be an effective treatment for people experiencing depression. The herb has been used in countries like Russia and China for centuries to help increase endurance, and as a preventive measure against altitude sickness, fatigue and depression. Now, a study by researchers from the University of Pennsylvania, published in the medical journal Phytomedicine, shows that Rhodiola rosea can help treat mild to moderate depression. Betty Tully has firsthand experience with the devastating effects of prescription opiate addiction. In January of 2001, she was thrilled to receive a new “miracle drug” from her doctor that would eliminate the chronic lower back pain, which had plagued her for decades. She was also assured that the painkiller wouldn’t put her at risk of addiction. She began with 20 milligrams of OxyContin, but soon began asking for higher doses. Her doctor complied. The content on this website is not intended as a substitute for professional medical advice. Always seek the advice of your physician for any questions you may have regarding a medical condition. Do not disregard or delay medical advice as a result of anything on this website.